When working with clients, Honesty and Transparency are the two traits that will separate a Good Agent from a GREAT Agent. Let me tell you my philosophy. When your a Realtor you need to wear MANY hats. Organization, marketing, technology, strategy, advice, advertising, knowledge and experience are just some. Knowing the area, where to eat, the best schools, where to buy a car, contractors for projects are common questions that need answering. I share all of my local knowledge with every single one of my clients. When you hire me - we work together to get your dream home purchased, or your current home sold. Every Listing isn’t about getting it on our local market ASAP. It requires planning; and I do not rush. Homes I list receives a marketing packet which includes all of the services I provide, Accurate Value, Marketing Strategy, Professional Photos, Compelling Advertising are just some of the things. It’s about keeping your house on top of mind. The key is to get the right buyer so we can obtain the best possible price. Whether you’re buying or selling in NEPA, I’m always available for you. Ranked Top 10 Realtor in the Greater Scranton Board of Realtors 2017. Over $8,920,000+ In Real Estate Sold in 2017. 2017 GSBR Rookie of the Year. Bought a Single Family home in 2017 in Old Forge, PA.
Mike helped me tremendously. My experience with searching and buying a home couldn't have been better. He is super knowledgeable and great at what he does !!!!! Sold a Single Family home in 2017 in Jessup, PA.
Great experience working with Mike! Very knowledgeable with the current market, had great advise, and always available to answer questions! Definitely recommend! Thanks so much Mike! Bought and sold a Single Family home in 2017 in Jefferson Twp, PA.
Mike was fantastic. Responsive, knowledgeable, and a go getter. He gets homes sold and bought, and is a good guy as well. He sold my home which was not easy and negotiated a good price for me on my new home. Bought a home in 2017 in Chinchilla, Glenburn, PA 18411. Bought a Single Family home in 2017 in Clarks Summit, PA.
We had great experience searching our home with Mike. He is the only one that we like to work with, and he showed us how a realtor should be. We had bad experience with realtors before we met him! Sold a home in 2017 in Green Ridge, Dunmore, PA 18509. Right from the start Mike was very supportive with my concerns and conditions to list my property. He provided professional advise along with compassion and understanding for my objectives. I highly recommend Mike Urban to anyone that is looking for a positive agent that provides supportive results throughout the process. Sold a Single Family home in 2017 in Falls, PA.
Mike is fantastic to deal with. Very knowledgeable of the local market and works hard to make the transaction painless for his clients. Highly recommended! Sold a Single Family home in 2017 in Archbald, PA.
Mike is a very passionate broker who will not quit, even if the transaction is not a simple and straightforward deal. He expertly utilizes his negotiation kills and also is not afraid to consult with his colleagues or outside experts in order to find the correct answers to client questions. Mike's follow-through and commitment to providing quality customer service is commendable. My brother and I were able to sell the house with Mike representing us in a courteous and professional manner. Sold a Single Family home in 2017 in Wilkes Barre, PA.
Bought a Single Family home in 2017 in Dickson City, PA.
Mike I sent a great guy! Helped us throughout the years find our perfect home. Even when we ran into road blocks he assured us everything was going to work out and it did. Great knowledge of the area and housing conditions. I would highly recommend him to anyone's looking at buying a house! Bought and sold a Single Family home in 2016 in North Abington Township, PA.
Mike Urban helped sell my home in December of 2016. It was listed on Zillow and within a week Mike brought people around to see the house. They eventually wound up buying the house--it sold very quickly. Mike's expertise instilled a sense of confidence in him on my part as well as that of the buyers. Not only did Mike facilitate the normal processes involved in transferring a piece of real estate but he was a great troubleshooter too. Any issues that came up during the course of the transaction were handled by him in a professional and efficient manner. I highly recommend Mike Urban and will use him when it comes time to sell my current property. Sold a Single Family home in 2017 in Tripp's Park, Scranton, PA.
Mike was recommended to us by a friend and within days of contacting him, he had our house professionally photographed and listed. Mike is very knowledgeable of the local market and was always available to answer any of our questions. Mike was extremely helpful and talked us through the entire process from start to finish. He sold our house in Scranton in less than 3 months. We would recommend Mike to anyone who is looking to sell their house! He is truly great at what he does! Sold a Single Family home in 2017 in Nicholson, PA.
Mike was amazing. We had our house on the market for 2 years and we had offers but no one was ever able to close the sale. So we turned to Mike! Within a few days we started having showings. Next thing we knew we had a offer and we sold our house!! I highly recommend Mike! Bought a home in 2017 in Simpson, Greenfield Township, PA 18407. Mike Urban went above and beyond for me to make sure that I found a home that I loved. I was having a hard time finding a place and had to change realtors and when I found Mike I couldn't have been more happy he just made the whole process so easy for me. He made sure the home would be a place that he would live. He was amazing!! Bought a Single Family home in 2017 in Hill Section, Scranton, PA.
Bought a home in 2016 in Roemersville, Palmyra Township, PA 18426. Great experience with Mike. Very honest about market price and went out of his normal area to help us buy a great house. We looked at a few houses and Mike even tried to talk us out of the house we wanted because of price for the location, honest about his market research. Bought a Single Family home in 2016 in Gouldsboro, PA.
Bought a home in 2016 in West Mountain, Scranton, PA 18504. Mike found me a great deal on a profitable investment property. He was patient and professional throughout the process. We worked on finding an investment property that fit my budget. Excellent realtor. Sold our homes in Scranton where sales are few and far between. He responsiveness is amazing. He was always there to answer questions any time of the day almost immediately. Couldn't have asked for better service! Bought and sold a Single Family home in 2016 in Old Forge, PA.
Bought and sold a Single Family home in 2016 in Hyde Park, Scranton, PA.
Sold a Single Family home in 2016 in Dalton, PA.
Mike was very knowledgeable, helpful and responsive. He got the deal done without any drama. He knows the right people to get the required work done in a professional manner after the home inspection. Property manage a home in Lake Winola, Overfield Township, PA 18419. Michael Urban <> In three words. GETS THINGS DONE. He is very efficient knowledgeable and personable. Returns calls and emails promptly. Answers all your questions on the spot, if he does not know he will find out asap and get back to you right away. 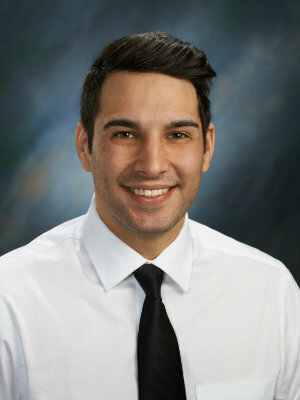 I highly recommend Mike if you are buying, selling, renting or just to show a property. So if you are looking for a top of the line real estate agent then Mike is the man. Give him a call, you will be very pleased with his work and you will be glad you hired him.